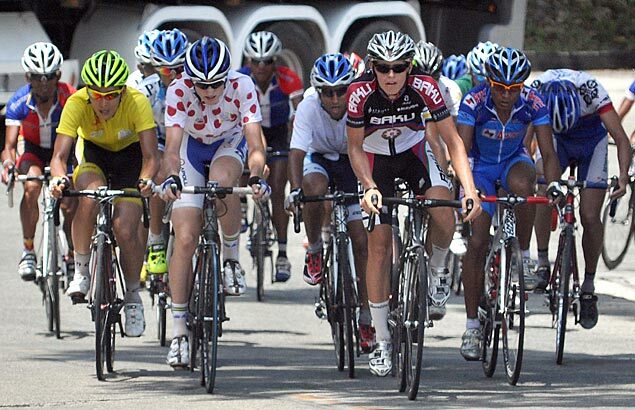 THIRTEEN continental teams and two national squads will battle it out for honors in the sixth edition of Le Tour de Filipinas that hits the road on February 1. The continental teams that are returning to the Le Tour are Satalyst Giant Racing Team (Australia), CCN Cycling Team (Brunei), Astana Continental Team (Kazakhstan), Pegasus Continental Cycling Team (Indonesia), TPT Cycling Team (Iran), Terengganu Cycling Team (Malaysia), Bridgestone Anchor Cycling Team (Japan) and 7-Eleven (Philippines). They will be joined by Le Tour first-timers Team Novo Nordisk (USA), RTS Carbon (Taiwan), Attaque Team Gusto (Taiwan), Pishgaman Yazd Pro Cycling Team (Iran) and Singha Infinite Cycling Team (Thailand). The national team of the PhilCycling will also be vying for honors as part of its preparations for the Asian Road and Track Championships in late February and the Singapore Southeast Asian Games in June. Uzbekistan is also fielding its national team as it prepares for the Asian championships. Le Tour, the only International Cycling Union-calendared road race in the country, returns to the fabled Kennon Road route for the Baguio City finish in Stage Four. Stage One is a 126-kilometer race in Balanga, Bataan, with Stage Two a 153.75-km ride from Balanga to Iba in Zambales on February 2. Stage Three on February 3 will cover 149.34 kilometers from Iba to Lingayen, Pangasinan. For Stage Four on February 4, Le Tour, which has been included in the Department of Tourism’s Visit the Philippines 2015 program, will be from Lingayen to Baguio City via Kennon Road covering 101 kilometers. A continental team is a UCI-registered squad made up of riders of various nationalities. The riders and the teams earn UCI world-ranking points for qualification for the World Championships, World Cup and ultimately, the Olympics.